During filming of WW2 Treasure Hunters for this WW1 special, we visited Morn Hill camp near Winchester. We recovered a very large number of relics but simply did not have time to show them all in the episode. With that in mind, below you will find pictures of the majority of the important finds from the dig. The named items we found are at the bottom of the pics, along with lots of detail about the men behind them! (This is been very kindly supplied by my good friend Mark Khan ( http://www.commandpostmedia.com/ )). Before the finds though, a short history of the camp itself….. In the bitter winter of 1914/15, a large military camp was created on the downs east of Winchester on both sides of the Alresford Road. Two British Army Divisions destined for the Western Front formed there, initially in tents. Because of severe weather, the camps had to be temporarily abandoned, the troops being found accommodation throughout the City. Every resident of Winchester was asked to house as many Soldiers as they could, and even the hallowed grounds of Winchester School we given over to the army, at least until the weather improved! The central role of Morn Hill was as a transit base for troops moving to France and Belgium through the port of Southampton. Most stayed for only a few days before moving on, but some much longer. The sheer volume of men passing through the camp meant that hundreds of people were needed to provide for them, and maintain the camp itself, meaning that a large group were more or less permanently stationed there. In the beginning of the camp’s life, it was the British army that were the main users, but as the war progressed, soldiers from virtually every allied force passed through its gates. Such was the flow of men, the camps expanded further eastward with numerous temporary buildings being erected to create a major barracks comprising hundreds of living huts with cookhouses, cinemas, recreation halls, stables, garages etc. To give you an idea of scale, the population of Winchester at the time was about 20,000. The camps were said to be capable of holding some 50,000 troops at any one time. By late 1917, after America joined the War in the April, Morn Hill was transferred to the US Army, still in the role of a rest and transit camp. 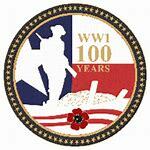 Between 1917 and the end of the war 700-800,000 American troops passed through the camps. A large military hospital was also built for the soldiers afflicted by illness rather than those with combat wounds. Over 500 were buried in the nearby cemetery, most later being exhumed to be returned to their home States. Two however, remain in the cemetery. In 1918, a branch from the Great Western Railway at Winnall was built to serve the camps but had only a short period of use, with the end of the war in 1918 bringing the need for a railway to an abrupt end. They left behind a lot of evidence of life at the camp…..
303 headstamp – What a WW2 dated cartridge was doing here we don’t know! On to the named items. We had five in total during the dig, (only 2 were shown in the episode). Two British dogtags, one US and two bed plates. Robert Eyles served as a pre-war soldier in the Territorial Army with the 23rd battalion London Regiment. With the declaration of the First World War, Robert’s battalion was mobilised. Robert joined his battalion at the outbreak of war and remained in England until March 1915 when embarking with the 23rd battalion from Southampton For France. The 23rd battalion took part in training during March 1915 & the first half of April 1915 before eventually going into the line in mid-April 1915. On May 25th 1915, Robert’s battalion took part in the first major action involving the 23rd battalion during the Battle of Festubert at Givenchy-lez-la Bassee. The battalion makes a successful attack but whilst holding a captured enemy trench suffers significant casualties. The battalion is relieved on the 26th May. It is on this day Robert is wounded (a gunshot wound to the arm and concussion) and evacuated to hospital in Béthune. Robert is eventually evacuated via a hospital at Versailles, being sent home on 31/5/1915 via Ambulance Train from Le Havre. Robert’s service was terminated on 25/4/1916. Robert found work as a Coppersmiths mate after leaving the Army on 25 April 1916. His second service record details that he was ‘soldier recalled for service with the colours’. His medical grading on reenlistment however is listed on his service record (2) as B1 – i.e. fit for garrison service (albeit abroad) only. His service records are unfortunately partially burned (as many surviving examples are) or illegible in relation to the exact unit he initially served with other than it is a battalion of the London Regiment. Probability indicates that this could be a ’23rd’ battalion (as per his preference). If so, the only 23rd battalion of the London Regiment that matches Robert’s Home Service Record is the 3/23rd. Both the 1/23 (his original battalion) & 2/23rd all served overseas. On the 28th October 1918 Robert transferred to 3rd Battalion East Surrey Regiment on 27th Oct 1918. The 3rd (Reserve) Battalion of the East Surrey Regiment was formed in August 1914 at Kingston-upon-Thames, as a depot/training unit. It later moved to Dover and remained there throughout the war. This transfer may be related to the move of the 23rd Reserve battalion to Suffolk/Norfolk in 1918 – i.e. to be closer to home as a married man (as he was then). On his re-enrolment record Robert is listed as progressively being promoted eventually to the rank of sergeant. This would indicate that he was considered a capable and trustworthy individual. It would seem he approached his return to the colours pragmatically and without any form of bitterness. Having previously volunteered to serve with his unit abroad in 1914, subsequently being wounded in action – he went on to further serve with distinction at Home despite being medically downgraded until being discharged on the 20th of March 1919. An elusive chap with no information currently available. Actually listed in the records as Frank Barrow, he served from 21st December 1914, eventually being discharged as ‘Section B’ on 29th March 2019. Again, there is only limited information on this man. He is shown to have started his service in December 1914, serving with the KSLI along with Frank Barrow. However, at a point later in the war he transferred to the Army Cyclist Corps. From the record card we can also see he was awarded the Military Medal, also seen in a Gazette entry. Newbrooks, Barrow and most likely Sheppard are related to the story of the 27th Division. This division comprised of a number of units that had returned from service in India to re-equip and prepare for service in France and were recorded as having been based at Morn Hill and other camps around Winchester. This division went from Winchester to France in late December 1914 to fight with the British Expeditionary Force. It was later transferred to Salonkia in Nov 1915. Apollinaris (the unknown item) was the name of a brand of sparkling water, originally from Germany (1850s) and later taken over by Coca Cola. Could be from a flask from that time.